Successfully Added 1600 Watt 4 Channel MOSFET Car Amplifier to your Shopping Cart. Looking for a better audio experience in your car? Of course you are! Just take this 1600 Watt 4 Channel MOSFET Car Amplifier for a ride and enhance your audio enjoyment to the max! This four channel full-range model car amplifier will match perfectly with your car’s speaker system. MOSFET amplifiers deliver plenty of power (1600W), while the bass boost and built-in (high and low-pass) crossovers allow you to completely customize sound acoustics to your taste. This car amplifier is everything you need to pump up your car’s speaker system, prepare to be amazed! This amplifier features variable high- and low-pass crossovers, so you can adjust the sound to suit whatever speakers you're driving. For high performance with low heat. Add a little extra low-end power with 0 to +12dB of variable bass boost. Now, you can say goodbye to the boring idle time in your driving life. Whether you are listening to music, catching up to the news on the radio, or even calling others through your Bluetooth car kit, this car amplifier will offer a richer and more full sound quality. Give your audio senses 100% satisfaction! 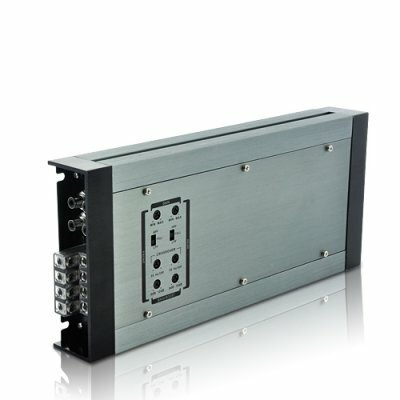 If you are looking for high performance and the best compromise between efficiency, low distortion, maximum available headroom and output power, it doesn’t get better than the 1600 Watt 4 Channel MOSFET Car Amplifier. Take advantage of our factory direct pricing and order the case in bulk to generate some nice profit on a sure-shot best seller. Brought to you by your source for the latest high tech gadgets, Chinavasion. The installation of this Car Amplifier should only be performed or supervised by a professional. Chinavasion is unable to offer support regarding any hardware setup issues. on 2012-05-04 07:11:12 Small in size and large in power. When I first got it I tought it was a joke or a mistake. I had to open it up and see the insides of it and discovered it was more compact made. I put it in my car beside my 900 max Watt amp that was 3x the size. When I hooked it up I was amazed, the base just blew me away so the size fooled me. Why I gave it 5 stars? Small and powerful, you can change hpf/lpf/full on BOTH ch. 1/2 and 3/4 (not even the 100€+ amps had that option) and cheap. Thanks for a good product! My friend bought it the first day I had it so I need a new one now.